“Since last summer, the Indiana Chamber has been leading the charge to see this clarification become law, with language originating in our tech policy committee. Our advocacy team and several members of the committee met with all the interested parties to build momentum and consensus. We put a lot of work into the effort because the stakes were high. The state’s significant momentum as an attractive place for innovative and entrepreneurial companies was in jeopardy without a sensible solution. “And this policy is important not just for tech companies, but for those who do business with them. The new law is straightforward on what transactions are exempt. Having clarity around that will help grow Indiana’s software development economy, as well as prevent onerous taxation of other necessary business expenses throughout the business community. This week, the Senate unanimously approved the House changes to Senate Bill 257 (Sales Tax on Software). 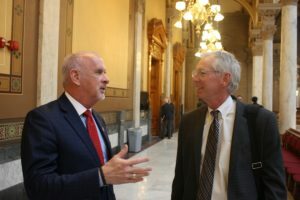 This bill began as a top Indiana Chamber goal; it was embraced by the administration and made a priority of the Governor, the Senate got it introduced and rolling, then the House took good legislation and made it even better. The Senate concurrence vote means the bill is on its way to Gov. 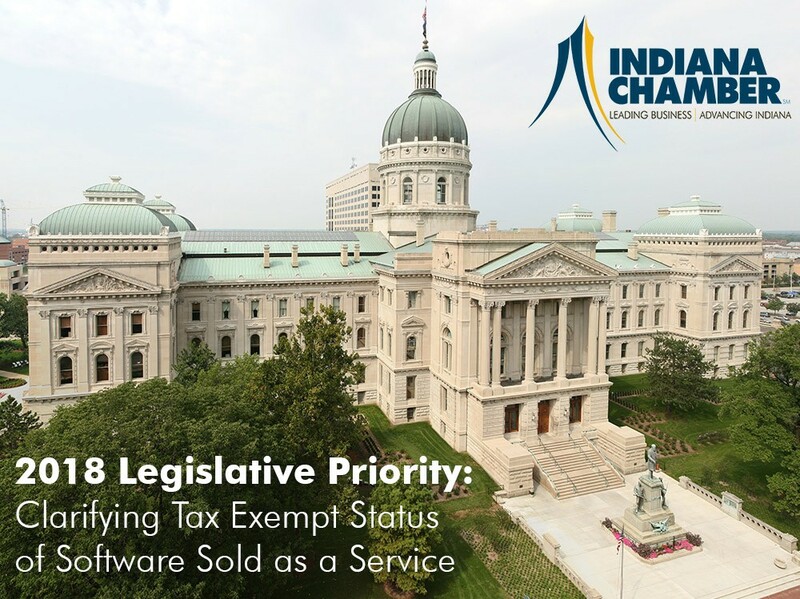 Holcomb and there will be SaaS (software as a service) tax clarity in Indiana! This is exactly what the Indiana Chamber has been working toward since last summer and it is good news for the SaaS industry. Senate Bill 257 is a straightforward piece of legislation that can reap very real economic benefits for the state. 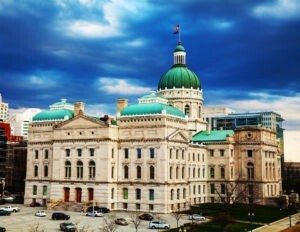 We thank legislators for listening to our members and taking this important step forward to demonstrate Indiana’s commitment to embracing the growth of the SaaS industry. The legislation puts Indiana in a very favorable position to attract more and more of this burgeoning business to our state. 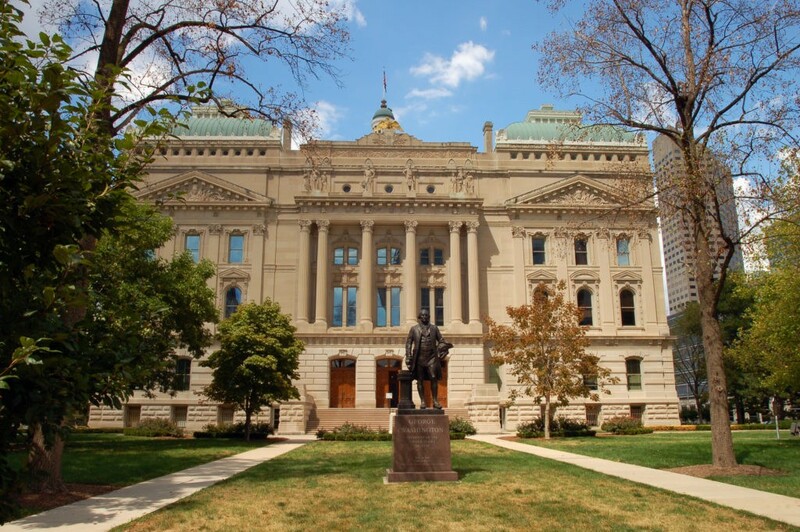 In the Indiana General Assembly, both House Bill 1002 and Senate Bill 50 have been significantly amended in ways that we support, but also in ways that give us some concern. We have strong support for the thoughtful and deliberate work on the study by the Legislative Service Agency of all workforce programs. It is extremely thorough and we look forward to the results of each year’s report and presentation. We also support the language regarding the Next Level Jobs Employer Training Grant program. The career and technical education (CTE) student information portal for local employers is a prime example of a creative model without having to spend extra capital. And we also support expanding the Employment Aid Readiness Network (EARN) Indiana program to include part-time students. We hope to continue the conversation on the makeup of the Governor’s Workforce Cabinet in conference committee and have some questions as to how this will work in conjunction with the State Workforce Innovation Council (SWIC), a similar existing cabinet that is required to have its membership be 50% employers. 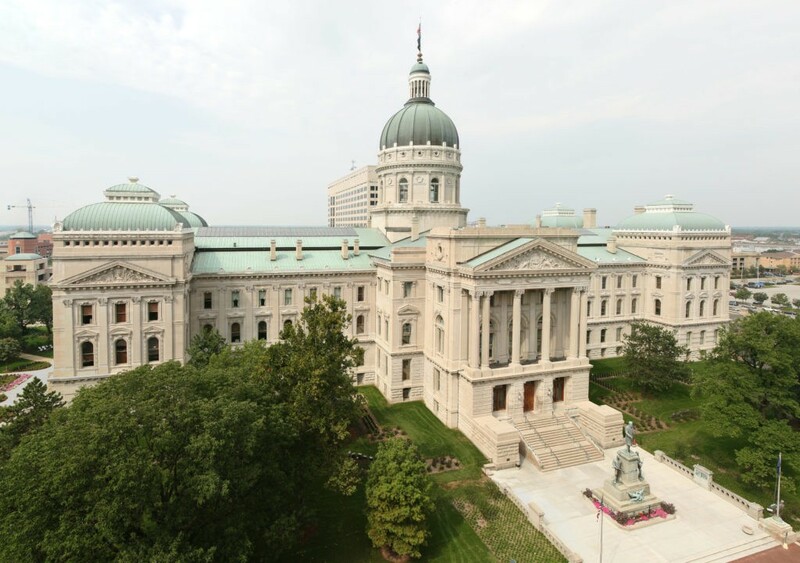 We appreciate the language in the bill allowing the Indiana Chamber to be consulted with on a gubernatorial appointment for a business leader to the panel; however, we question why we cannot simply utilize the SWIC. If we are tied to the idea of creating a new cabinet, we feel strongly that we should have more employer voices at the table, plus give the Indiana Chamber a seat as well. The Chamber’s place on the cabinet would provide historical knowledge on workforce issues, representing the voices of thousands of members and investors throughout the state and providing consistency when we have a new Governor who would make the majority of the appointees (be they employers or agency heads). In close, though these bills are better and moving in the right direction, they still need work. The Chamber will continue to advocate for strong policies throughout conference committee. Senate Bill 257 (Sales Tax on Software) took a very positive turn this week when it was amended by the House Ways and Means Committee. After hearing considerable testimony from members of the Chamber’s Technology and Innovation Policy Committee in a hearing last week, it appears the message was received! That message: It would be beneficial to the software industry to provide simple clarity regarding the exempt status of software as a service (SaaS). 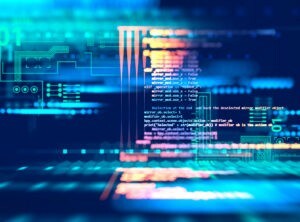 The Ways and Means Committee amendment deleted a good amount of language that we were concerned could raise new questions and run counter to the objective of reducing uncertainty about software transactions. 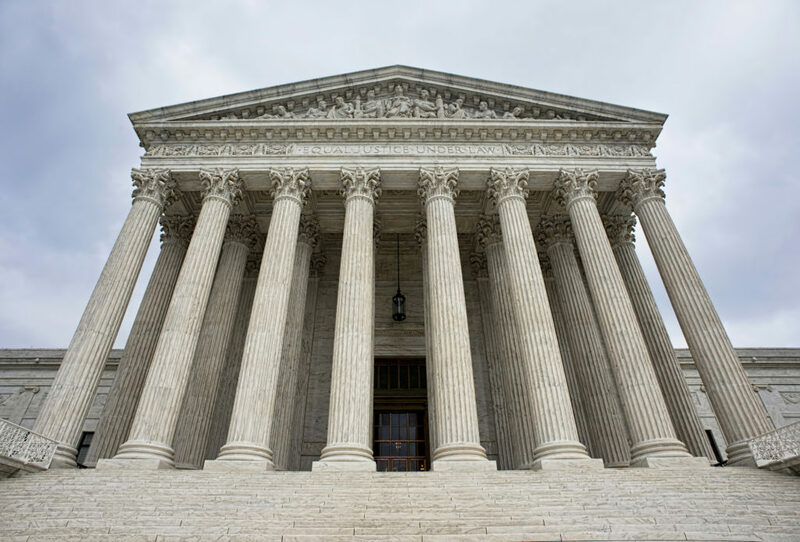 These changes make clear that it is only in the case where prewritten software is delivered electronically (downloaded) that the transaction is considered a retail sale subject to sales tax. And when someone buys the right to remotely access software, the transaction is not taxed. Through these positive amendments, the bill now more directly serves the objective of clarifying that SaaS transactions – those involving the use of software to essentially provide a service – are excluded from taxation. 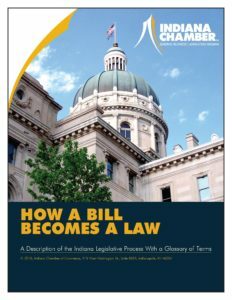 The Indiana Chamber has been making the case for the need to eliminate the previously existing ambiguous language and convincing legislators that a clear, simple, straightforward piece of legislation can reap very real economic benefits. Our efforts are reflected in this much streamlined version of SB 257. We thank the Ways and Means Committee for listening to our members and taking this important step forward to demonstrate the Legislature’s commitment to embracing the growth of the SaaS industry in Indiana. The revised bill puts Indiana in a very favorable position to attract more and more of this burgeoning industry to our state. 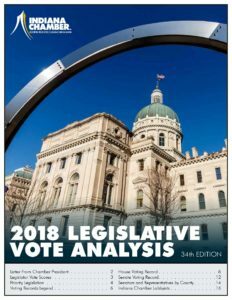 Indiana Chamber President and CEO Kevin Brinegar provides a midterm evaluation of the 2018 Indiana General Assembly. Among the key bills that did not survive the first half of the session: raising the smoking age from 18 to 21 (a common-sense step for dealing with health care costs and lost productivity that causes more than $6 billion in annual impact). In addition, an effort to modernize the state’s local government system by consolidating the smallest townships was not brought for a vote. Areas that are still a work in progress include reforming the state’s workforce development programs, incorporating computer science requirements into schools, clarifying tax treatment for Software-as-a-Service (SaaS) and continuing to move forward on long-term water resource management. As the 2018 General Assembly gets underway, the Indiana Chamber is highlighting three big issues expected to be debated in the coming days and weeks: workforce needs, the opioid crisis and smoking rates. Indiana Chamber President and CEO Kevin Brinegar says, “We’ve done so well recently from an employment standpoint that we’ve almost outstripped our ability to hire skilled workers since unemployment is so low in the state. But make no mistake, Brinegar stresses, the state’s priority should be on the potential talent pool at home. That means some major changes will need to occur – ones that hopefully start in the new legislative session. Many of those jobs today and down the road are in the middle skills area – skills that require more than a high school diploma but less than a four-year bachelor’s degree. Brinegar states this should be a focus for both Hoosier workers who need to improve their skillset and young students. “We know from our member companies that they are reaching down to high schools and even middle schools to explore with students what job opportunities there are with their companies, what skills they need to have, what classes they need to take in high school to be eligible to take those jobs. It’s becoming a lot more focused on getting people ready with some specificity for jobs after high school. “We will be researching on best practices, disseminating information to employers and putting on training programs. I’ve told the Governor’s office that we want to be part of the effort and part of the solution. It’s a big problem and it’s not going to be solved overnight, but this has become an employer problem in addition to a personal and societal problem,” Brinegar offers. “There are 10 times more people dying from smoking-related illnesses every year than opioids. And it’s the most preventable source of disease,” Brinegar notes. Enhanced workforce efforts and reducing the state’s smoking rates are among the Indiana Chamber’s Top 9 legislative priorities for 2018. The full list is available at www.indianachamber.com/priorities.